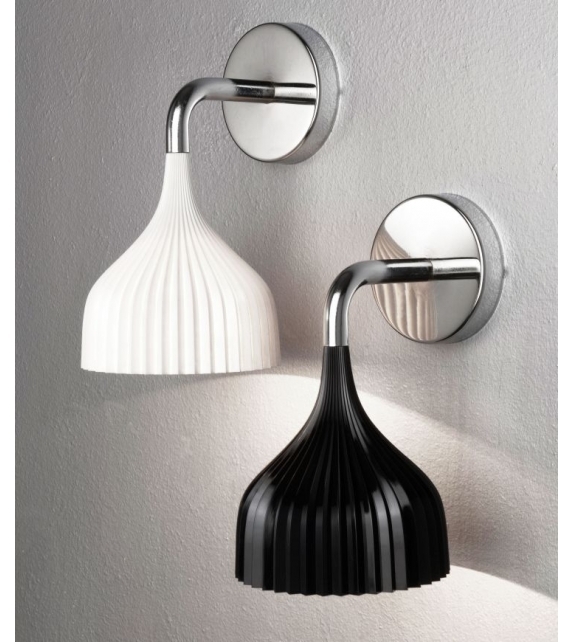 É Precious is a wall lamp designed by Ferruccio Laviani for Kartell. A lamp of simple and essential design, available in two versions, wall sconce and suspension lamp. 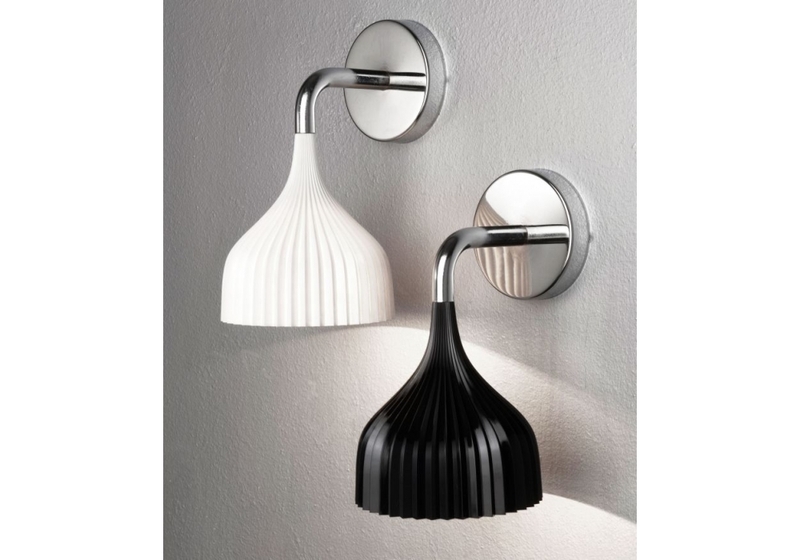 The wall sconce is composed of a rosette lampshade in pleated polycarbonate available in several colours with an 11 cm chrome arm. 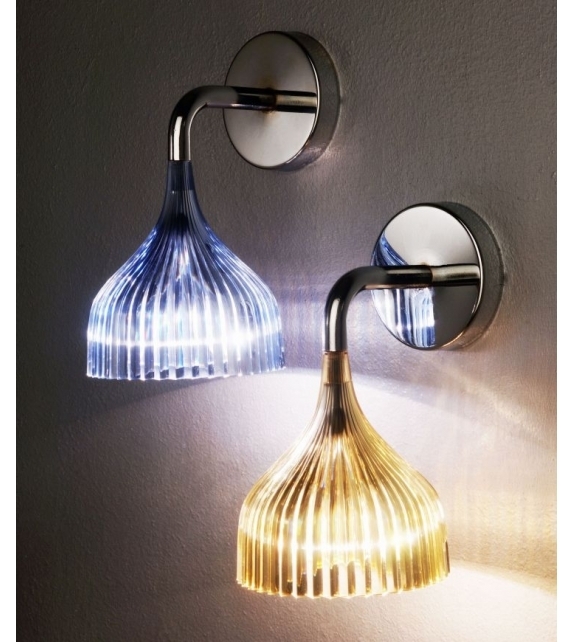 É Precious is a wall lamp designed by Ferruccio Laviani for Kartell. A lamp of simple and essential design, available in two versions, wall sconce and suspension lamp. 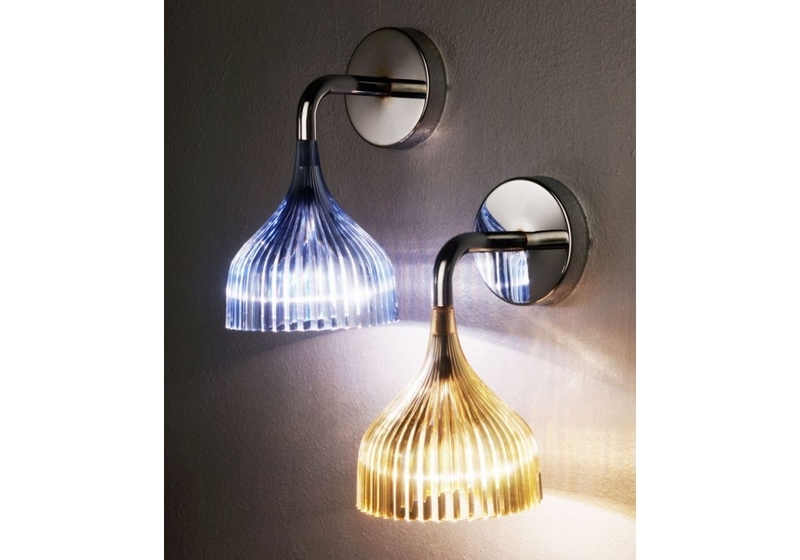 The wall sconce is composed of a rosette lampshade in pleated polycarbonate available in several colours with an 11 cm chrome arm. The É suspension lamp consists of a pleated polycarbonate lampshade and a chrome rosette. The cable can be adjusted in height from 20 to 220 cm. Both versions take a 40 Watt light-bulb.